No Nut Oils. Unscented. Paraben Free! Earth friendly formula enriched with certified organic ingredients, including a blend of Jojoba, Olive Oil, Shea Butter, Aloe Vera, and more! 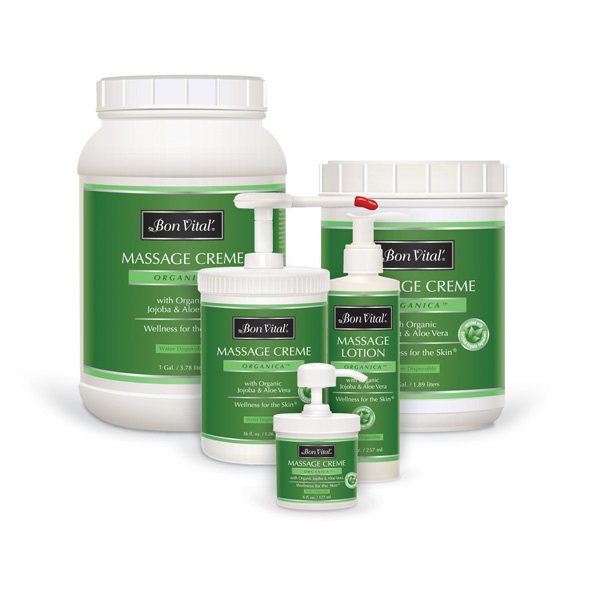 This luxurious creme has a lasting glide and superb grip suitable for all types of massage modalities. Infused with Organic Arnica and Chamomile to soothe and calm achy muscles. Lightweight lotion exhibits superior glide and optimum absorption for maximum control. Leave your skin feeling silky soft and satiny smooth.